Here’s a selection of some wonderful HTC One X apps that you won’t regret trying. 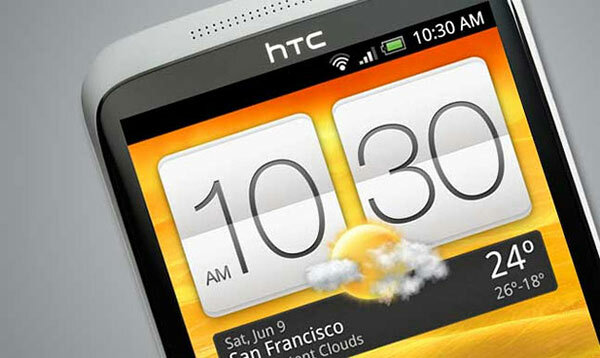 The HTC one X was launched by Taiwanese Smartphone manufacturer back in February in the World Mobile congress which gives a most smartphone to the world. HTC one X is very popular smartphone that was praised by many experts and that’s why experts often called it as “King of Android”. It runs on Android 4.04 and is available in Indian market with a price tag of Rs. 36,099. The HTC one X features a 4.7 IPS display which holds a resolution of 1280 x 720 pixels. It is powered by a 1.5 GHz quad core processor which is paired with 1 GB of RAM and lot of more impressing features but as we’re not here to talk about these things, so we’re skipping features and coming on the point. Over the due course of this article, we’ll be listing some unique HTC One X apps, hope you’ll love them. Shazam is a revolutionary Audio application which allows you to explore music through your voice. It identifies the song swiftly and allows you to share your favorite tracks right from the application. Draw something is highly addictive and decent drawing game application that can help you to spent time in a creative way. Draw something is the most popular drawing application according to Google play. Almost everyone is aware about Instagram which is most popular iOS application and was recently introduced to Android. If you love to click pictures then this is must having application for your HTC one X. This application allows you to click a picture, apply filters on it and allows you to share it directly to Social Networks. HTC One X offers the best connectivity specs and the data using application runs pretty swiftly on it. When talking about data usage applications, WhatsApp is the first name that we use the most. This is free smartphone messenger that allows you to send unlimited messages to your friends and family members. WhatsApp has impressing features like make group chats, send offline message, receive offline messages, exchange contacts, send an email and many more. Angry Bird is everyone’s favorite game. This is the most popular game on Android and was released in March 2012. It has amazing 60 inter-seller levels on different planets featuring the old green pigs and angry words with new powers. This game can be downloaded from Google Play. If you messages very often, then this widget is must having widget for your HTC One X. Place it on your home screen and it will preview your inbox right on your home screen. Moreover you can also reply, create a new message, mark a message as read and even view the old messages from the widget. Google recently introduced a cloud storage application called Google Drive to its users which allows you to store anything you want into it online. You can store up to 5 GB of dataonline any can access it from anywhere and whenever you want from your HTC one X.
Wi-Fi Analyzer converts your HTC one X into a powerful Wi-Fi Analyzer and helps you to locate the nearby Wi-Fi hotspots. It also suggests the best network available from the set of available Access Points. This is health related application that allows you to record the no. of steps you walked, walking distance and automatically calculates the no. of calories consumed during walk. This application is very essential who loves jogging and running. This application is free to download and can be downloaded from the Google Play. So guys these are some HTC One X apps which you can try on your HTC one X to increase productivity and spent your leisure time on them. If you guys have some interesting HTC One X apps, do share them with us through comments.